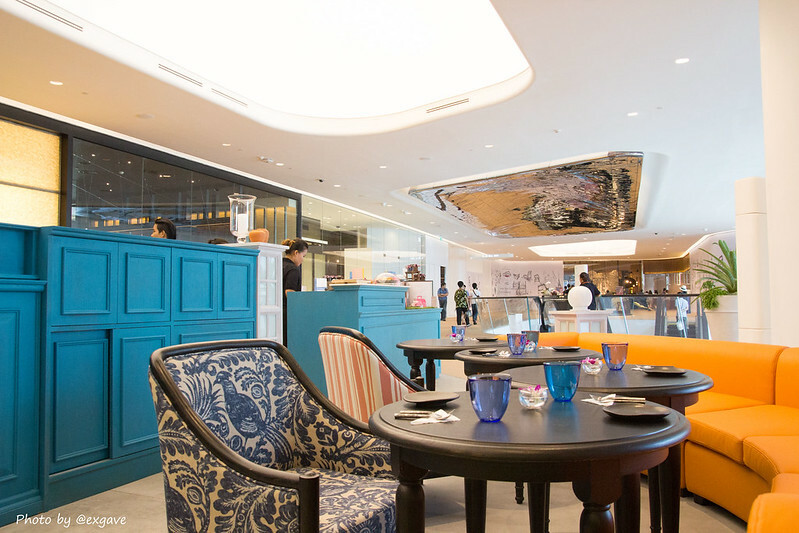 Since the popularity of the Central Embassy, so this review will still focus on a restaurant in it. 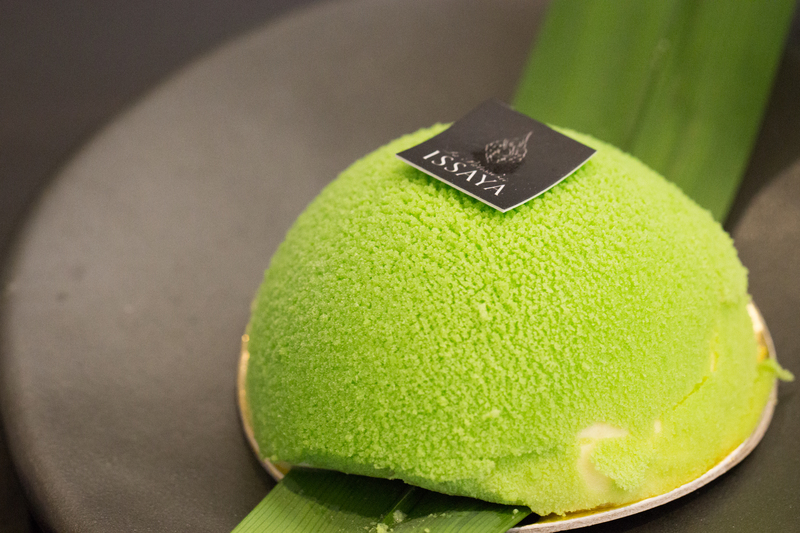 This time I paid a visit to patisserie by the famous Thai Ironchef, Issaya la Patisserie. 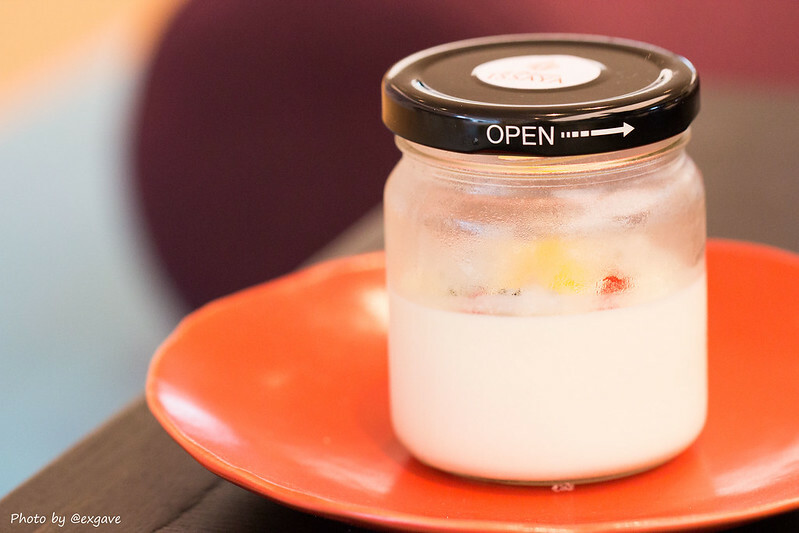 It is located at the same floor as Water Library Brasserie. The décor is kept like Issaya Siamese Club. The staffs were not attentive and helpful but polite. There are plenty choices of beverage. I picked peppermint tea. Unfortunately, I forgot to take a photo of it. Desserts were all tasty but if you are not fond of Thai dessert, you might not like it. Please don’t get me wrong, the dessert was not that delicious.It was nice at just over the ordinary level but the presentation was really innovative. The price range is between 120-180 thb. This was krachīk dome. Basically, it was a coconut cream pie topped with shredded coconut and coated with pandan sugar. The presentation was really interesting. I was amazed by this dessert. 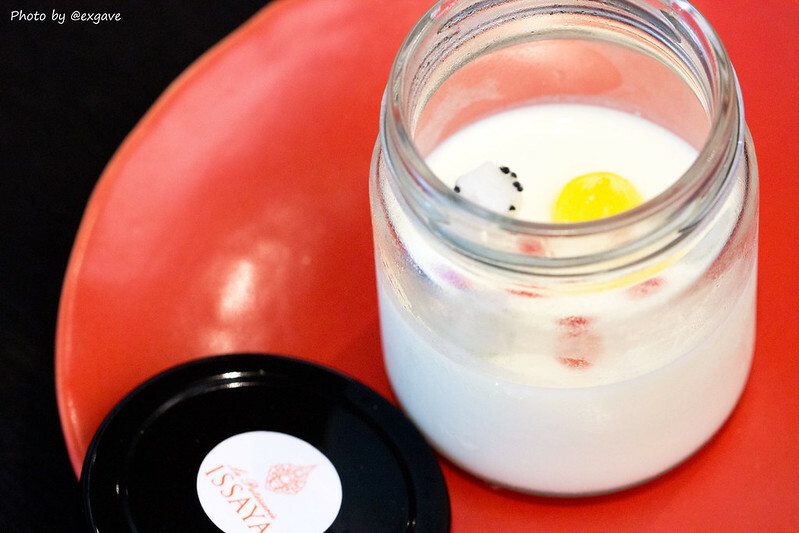 Chef Ian, head chef and owner of Issaya, is really innovative and creative indeed. He changes the presentation that we are familiar with to something that’s totally different but still maintains its true flavor. The coconut cream was not over sweet. Everything went together well. Another dessert was jasmine panna cotta. The panna cotta was smooth and dense. The jasmine aroma was pleasant. On the other hand, the topping did not play an important role. It seemed to be just a decoration. It was yummy anyway. This mango panndan choux with tapioca pearl was really an outstanding one. Coconut cream went with mango splendidly. 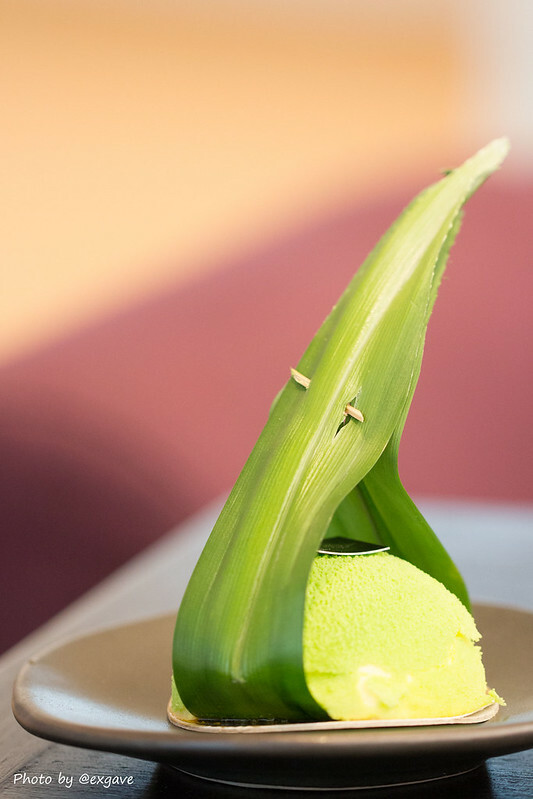 The pandan scent gave pleasant smell to this choux. In constrast, tapioca pearl did not seem to play an important in this dessert. I love this fabulous choux so muchhh. Another one was a complementary from the restaurant manager. It was macarons. 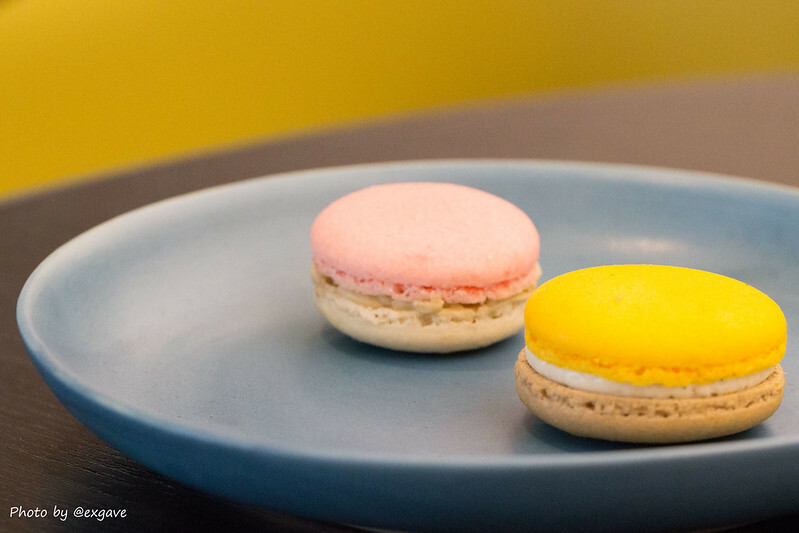 For the pink macaron, it was a macaron tubtim krob flavor. It tasted really like tubtim krob. Another one was vanilla tein-aob flavor. Tein-aob scent was slightly too light from my opinion. Vanilla seemed to emerge together well with tein-aob. 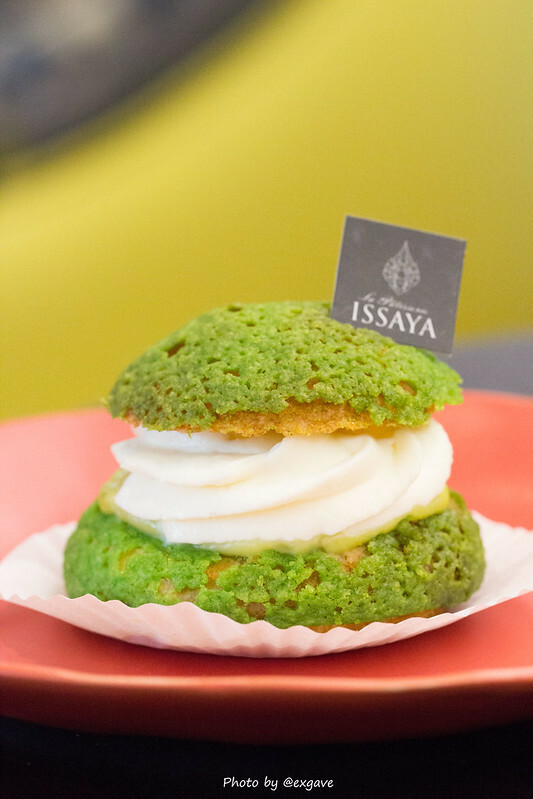 For me, I like Issaya’s macarons more than the famous Dhara Dhevi’s one. Both of them were not over sweet like those from Dhara Dhevi.